Easy to use kit in a plastic grab & run case. Soft feel bag provides exceptional recoil which allows for quick stroke deliveries. Automatic pressure limit valve to protect the patient. Inexpensive and very effective. Completely disposable to eliminate the need to clean, disinfect or sterilise the unit. 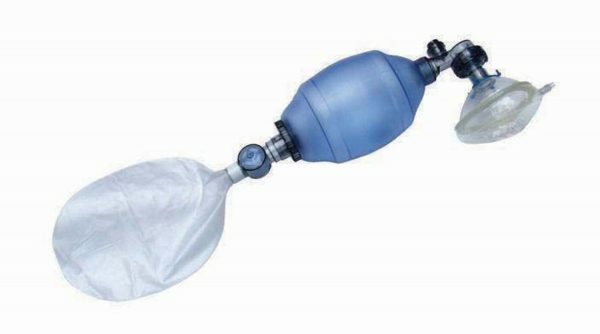 Kit includes resuscitator bag, mask, patient and intake valves, reservoir bag, and oxygen therapy tubing.